This past Wednesday night into early Thursday morning we got a massive amount of snow! Coming from a state in the South, a snow day is a real celebration to me. Although I’m a bit tired of cold weather (and I’m definitely ready for spring!) I decided to embrace the day and make a big pot of something hot. I picked something that is incredibly southern, and something that I don’t typically get to enjoy in my home-state. Brunswick stew! In North Carolina, South Carolina, and Georgia, Brunswick stew is enjoyed with a multitude of meats (chicken, pork, beef) all mixed together. I can’t eat pork or beef anymore, so I haven’t been able to eat this particular stew in many years. 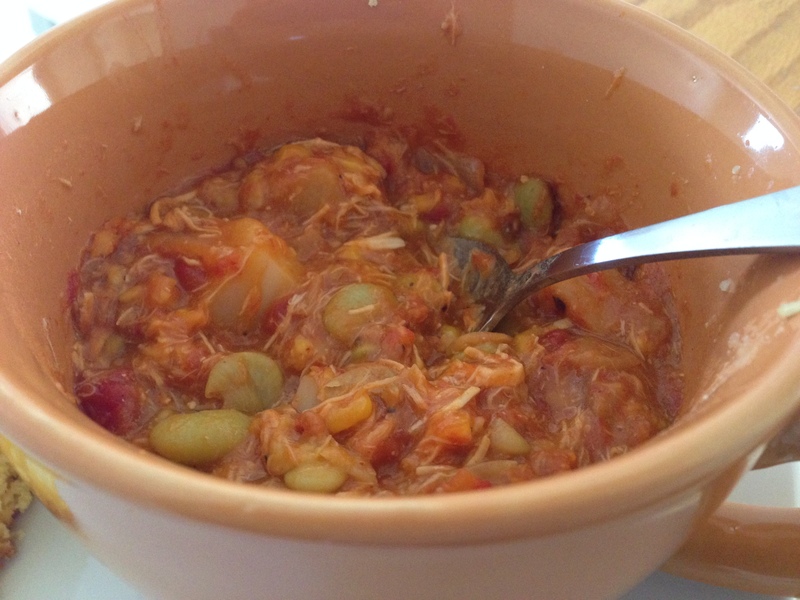 I did find out that in Virginia, Brunswick stew is made with just chicken, and so I found a great recipe online that I could replicate. Let me just say, it doesn’t look that pretty – but it tastes so great!! I also made a batch of cornbread for some textural diversity, and also to add a little something else to the table. 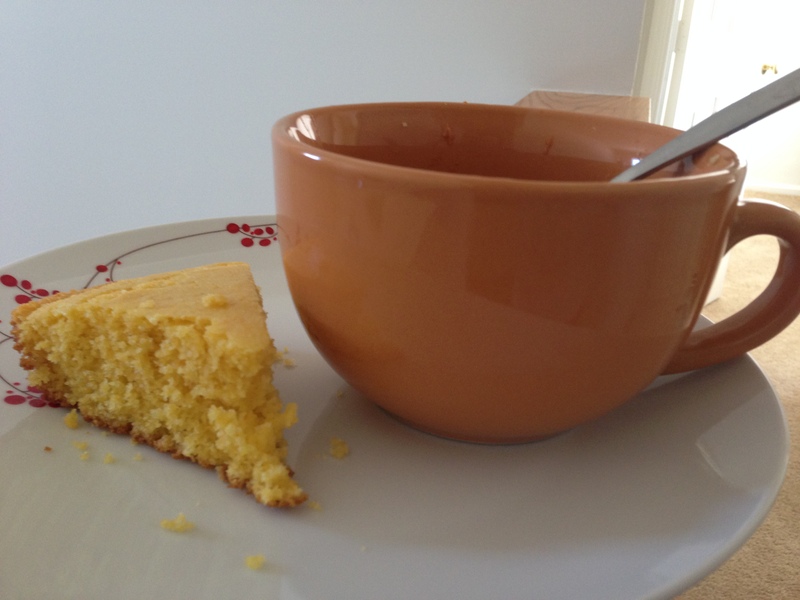 I’ve been on the hunt for my favorite cornbread recipe and I think I’ve found the winner! Look at that gorgeous bread! A note on the stew: I read through the reviews, and most people said 1/4 cup sugar was too much. So I lessened it to 1/8 cup. Perfect amount, I think! A note on the cornbread: The recipe calls for 1 1/4 cup corn meal, but I added all that I had on hand, which was roughly 1.5 cups. Turned out just fine! Also, the reason I chose a snow day to make the stew was because I knew that it was a time consuming recipe. I needed a day where I was stuck at home. It worked out perfectly because we definitely were stranded here. The recipe takes about 6 hours, so if you’re going to make it, plan accordingly! 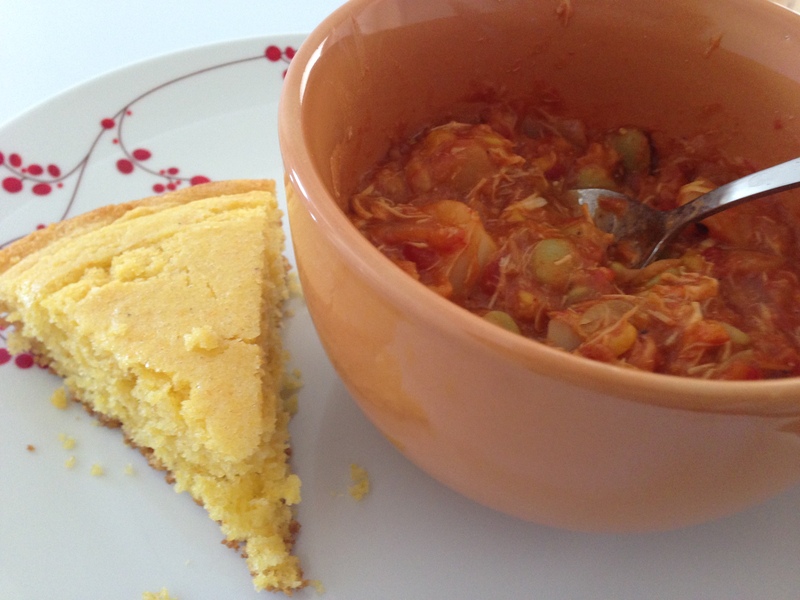 Tags: Brunswick stew, Cornbread Recipe, Snow day | Permalink.